3D TV is off to a shaky start. Sales have been somewhat disappointing, ESPN is apparently unsure about continuing its 3D coverage, and most of all, consumers just can’t get used to those glasses. Which is why Vizio’s recent announcement has piqued some interest. 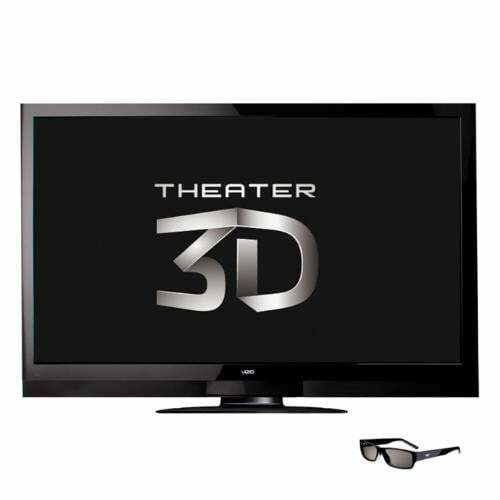 Today the company announced its new 65-inch Class Theater 3D Edge Lit Ravor LED LCD HDTV. It looks to be a remarkable piece of equipment that even comes with built-in Wi-Fi and an app store. Vizio also claims the TV’s screen is ultra bright in comparison to other 3D models. And while these initial specs sound impressive, the real selling point is its take on the dreaded 3D glasses. Vizio is reporting that its new 3D TV will come with “battery-free, affordable and lightweight 3D glasses causing less eyestrain” than others do. In other words, passive glasses like the ones used in theaters. Most 3D TVs come with active-shutter glasses, which use fast-changing LCDs and require batteries. While saving your eyesight may be benefit enough, there’s also the saving money aspect. The Vizio model eliminates the need to invest in new batteries for 3D glasses, or a charger for that matter. Vizio also states that the glasses will be compatible with most movie theatres’ 3D showings. Along with these upgrades comes a hefty price tag, of course. The 3D TV is currently listed on Vizio’s site as $3,699.99, but all things considered, this isn’t an insane amount. To offer a little perspective, a Samsung 63-inch 3D HDTV is listed for $3,199.98 at Best Buy. If the speculated improvements sound worth it to you, you’re going to have to wait. The sets should be available online and at Costco and Sam’s Club at the end of next month, and once in stock the price will drop to around $3,500.